We are excited to introduce a new form factor that will help your publications standout from the crowd. At 8” x 8”, Square product is compact, portable, eye-catching; and available in sleek saddle stitch or professional perfect binding. 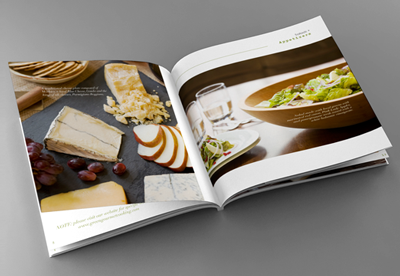 Ideal for portfolios, look books, small catalogs, handbooks and more, Square publications can be anywhere from 4 to 384 pages. The new Square product will be available for the same $.20 per page ($.15 per page for orders of 20 copies or more). Start publishing with Square today and let us know how you envision using this new product in the comments below. YES, I AM VERY MUCH INTERESTED IN YOUR PRODUCT – BE A SQUARE 8″X8″ PRODUCT. I AM IN THE PROFESSION OF ARCHITECTURAL DESIGN ENVIRONMENTS AND ALWAYS LOOKING FOR CREATIVE AND INNOVATIVE WAYS IN MARKETING MYSELF. PLEASE SEND THE NECESSARY INFORMATION IN ORDER FOR ME TO PROCEED. You can find more information about our Square product on our website: http://www.magcloud.com/products/square.